Just over a year ago, two young guys from Milan opened up Ambrogio15 in San Diego's Pacific Beach neighborhood. The thin-crust pizza is crispy and decadent. Lucky me, one of the partners, Andrea Borrone, who is the pizza maker, taught me how he does it--even changing up the recipe for home cooks so it will work in our conventional, lower-temperature ovens. 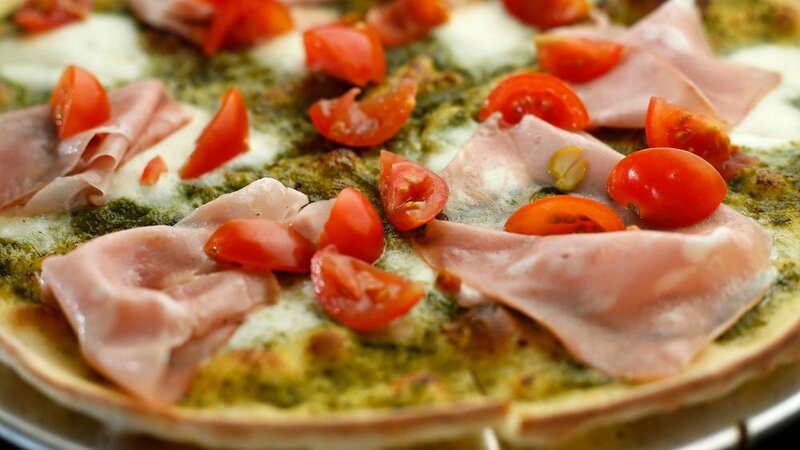 And he pairs the Arugula Pistachio Pesto Pizza, traditional Pizza Margherita, and Salsiccia, Cippole, Pomodori Secchi Pizza with a wonderful acidic fennel Sicilian Salad with Citronette Dressing. I am happy to share his recipes and techniques for all these with readers in this new story that appears in the San Diego Union-Tribune.